Source: digital ARC provided by the publisher for the purposes of this free tour. The Anwen Morris Dancers are to play a pivotal role in the imminent nuptials of Henry, eighteenth Duke of Chellingworth. But it looks as though the wedding plans might go awry unless Mavis, Annie, Carol and Christine can help Althea, the Dowager Duchess, by finding a missing Morris man and a set of ancient and valuable artefacts in time for her son’s wedding. Anwen-by-Wye might look like an idyllic Welsh village where family values reign and traditions still mean something in a modern world, but what will the WISE women find when they peer behind the respectable net curtains? The Case of the Missing Morris Dancer brings the reader right into the Welsh village of Anwen-by-Wye, and my sense is that in this series the setting is one of the characters. For me, that goes a long way toward making up for any flaws. The human characters are also well drawn, though here we touch on my main problem with the book. I was particularly intrigued by the author's use of multiple main characters (the WISE Enquiries Agency has four sleuths, and they are all Main Characters, with us spending time with and in the heads of each. I wanted to see how this works in part because I've toyed with the idea of writing a book with at least two main characters. I think the book (and, in fact, the author's guest post below) reveals just how difficult this is. The multiple main characters made it harder to keep track of things, especially at the start of the book, where all the characters were strangers to me, and I think four protagonists tests the limits of a reader's ability to identify with the heroine. That said, I still think this is a very well-written book, and the mystery plot is kept central even while the characters' lives are developed. That mystery, I need to note, isn't quite classic: there's no murder here. There is a mystery, though, and one with enough gravitas to make it matter. I did find it odd that the WISE women were restricted in what they could do by having to play by the rules (or risk losign their license)--and then thought it odd that something so realistic seemed odd! Still, it made a problem in that the main characters are shut out of the conclusion of the case, though they provide the police with the key to it. This is an excellent choice for a reader who likes vivid settings for their mysteries, and who is not troubled by the lack of a corpse. The structure isn't quite classic Cozy, but it's a good story and well-written for those who keep an open mind about the rules of the genre. And now--before we get to the nitty gritty (i.e., how to order your copy), here's the author, who has generously offered to stop by and talk about that very point that worried me: writing so many main characters! Thanks for having me along today, it’s a great chance for me to be able to share my thoughts with your followers who – I am guessing – share your interest in not only books, but writing. The launch of a new book is always an exciting time, and I’m delighted that the second WISE Enquiries Agency Mysteries is now available in paperback. I’ve signed a contract for two more books in this series; book #3 (THE CASE OF THE CURIOUS COOK) will be published in the UK on November 30th 2016 and I’m currently working on book #4. With this in mind, I thought I’d focus on an aspect of my writing I hope your followers will find interesting – how I try to build depth in characters throughout a series of books. The WISE Enquiries Agency is staffed by four women and they are “helped” by a fifth; these are my core protagonists. If I focus on them – leaving aside for one moment the other recurring characters who populate Chellingworth Hall (upstairs, and downstairs) as well as the village of Anwen-by-Wye – it’s plain to see they cannot each have a great depth of personal or character background within each book, otherwise there wouldn’t be room for the details of the case, or cases, they are investigating. This poses a dilemma not only for the first book in a series, but for subsequent stories too; how to give enough insight into the multi-dimensional characters I have in my head, without attempting to – or being able to – tell readers everything I “know” about them in a sort of “character trait dump”. I often write great chunks about a character, then end up editing it out, noting I need to make sure I weave it into a later chapter, or book. I work hard to allow my characters to display their true colors not only through what they say, but also through what they do and how they do it. One thing I am keen to do with this series is to show how these women can, and do, work successfully as a team; each one has their strengths, and weaknesses, and the others allow them to play their role in cases which need a team approach. Given the women’s varied backgrounds, they are well-suited to play off each other’s abilities and differences. I want to show how a group of women can enjoy banter, sisterhood, friendship – and cups of tea – in spite of their differences, and while they are pursuing a professional life which they all see as valuable to the community, as well as providing a living for them. The toughest aspect is to employ character “sketches” in each book that build from volume to volume, allowing readers to learn more about the women as they read more books, and to allow that increased insight to be a natural progression. I hope readers feel much the same way about my characters as they do about people they meet on several occasions, refining and shifting their understanding of that person as they discover more about them. 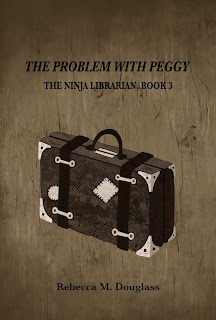 It’s a fine balance, and can lead to some difficult decisions during the editing process, but I hope readers feel they want to come back to the next book to find out more about the characters I’ve created. I also hope they enjoy working their way through cases with the WISE women who, after all, have to solve knotty problems requiring them to use their skills and abilities, while still living lives that have significant personal dimensions. Thanks for coming by and sharing that with us! It's a great insight into the challenges of writing both a series and multiple main characters! Cathy Ace was born and raised in Swansea, South Wales, and worked in marketing communications for decades across Europe. Having migrated to Canada in 2000, she now lives in beautiful British Columbia, where her ever-supportive husband (and two chocolate Labradors) ensure she’s able to write full-time. Bestselling author Ace writes two series of mystery books: the Cait Morgan Mysteries , and the WISE Enquiries Agency Mysteries . Her fourth Cait Morgan Mystery, The Corpse with the Platinum Hair, won the 2015 Bony Blithe Award for Best Canadian Light Mystery. FTC Disclosure: I received an ARC of The Case of the Missing Morris Dancer from Great Escapes Free Book Tours, and received nothing further from the writer or publisher in exchange for my honest review. The opinions expressed are my own and those of no one else. I am disclosing this in accordance with the Federal Trade Commission's 16 CFR, Part 255: "Guides Concerning the Use of Endorsements and Testimonials in Advertising." 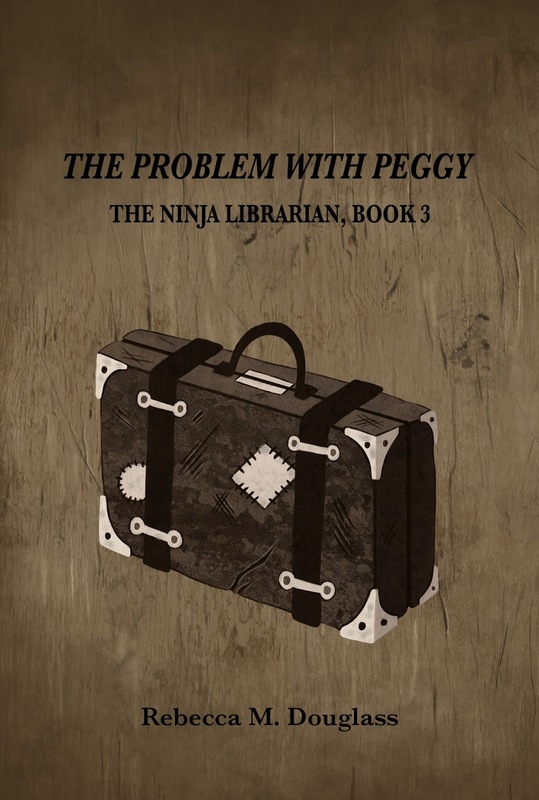 Join the Ninja Librarian in celebrating the release of The Problem With Peggy on Nov. 28! Preorders are now available from Amazon and Smashwords for the ebook. Preorder the paperback directly from this site and we'll pick up the shipping costs! IWSG: Fretting about book releases!